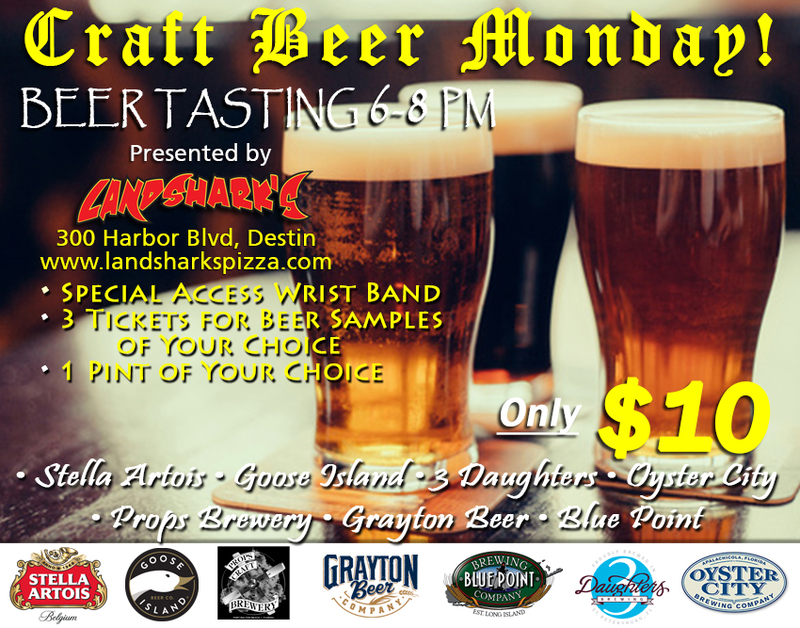 / Best Burger Deal in Destin FL / Burger & Beer Monday WARRIORS vs SPURS & PANTHERS vs CANADIENS $9.99 BURGER & BREW & Craft BEER TASTING@6PM! 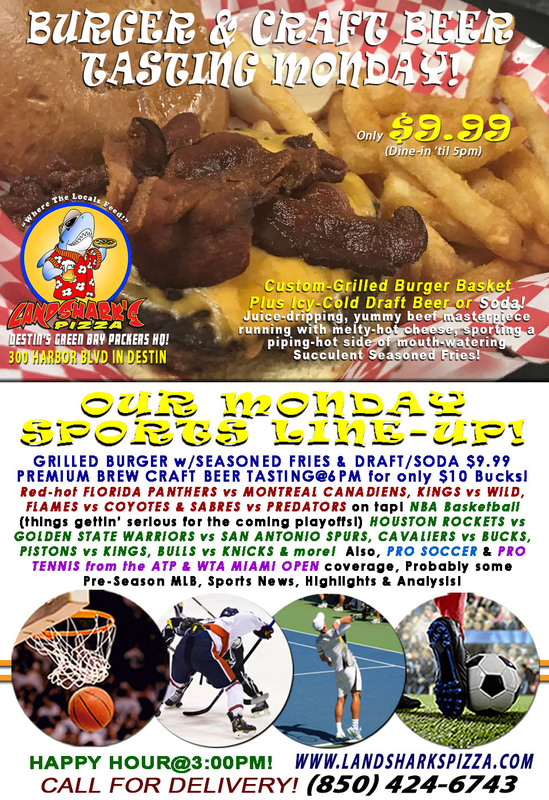 Burger & Beer Monday WARRIORS vs SPURS & PANTHERS vs CANADIENS $9.99 BURGER & BREW & Craft BEER TASTING@6PM! 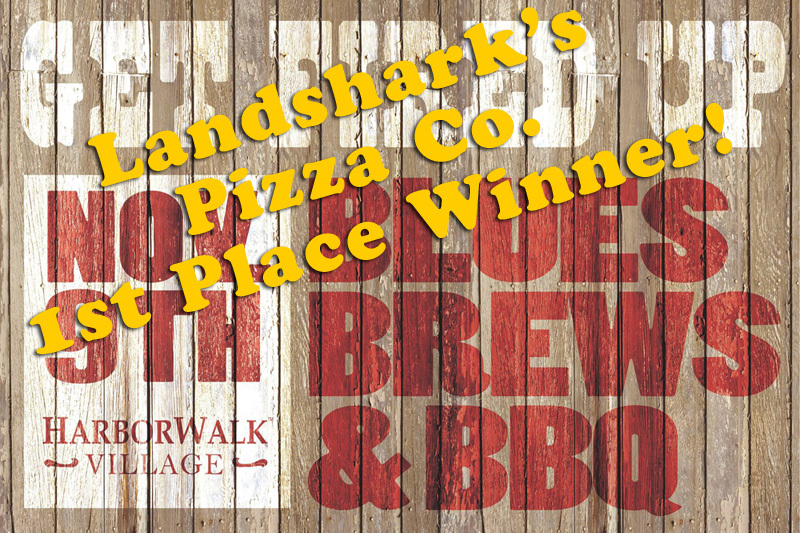 Workin’ folks eat like kings at Landshark’s in Destin – We’ve got the BEEF right here and ice-cold beer to launch you into a great work week! Custom-grilled Burgers & Brew Special along with exciting sports action on an army of big screens, award-winning menu choices and a full bar at 300 Harbor Blvd – wrap your lips around A melty feast accompanied by succulent seasoned fries & your choice of icy-cold Draft Beer or a flavorful Soft Drink for only $9.99 (’til 5PM)! The Delivery Guy sympathizes with your downtrodden plight and wants to see you freed from traffic-based oppression – let him set you free! 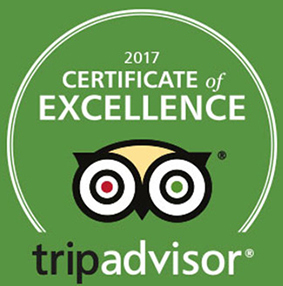 Call (850)424-6743 for Dinner-time Nom-Noms 5PM to 9PM! 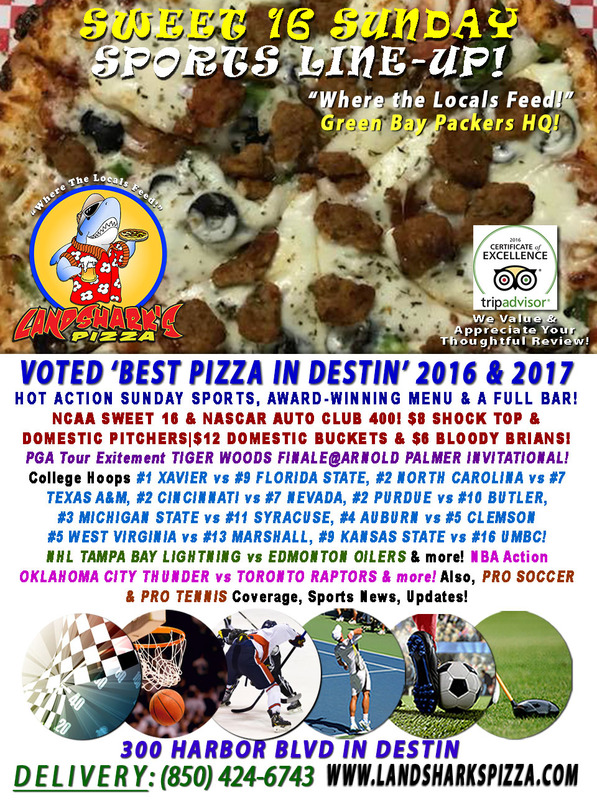 HOT SPORTS ON OUR ARMY OF BIG SCREENS – NBA Basketball GOLDEN STATE WARRIORS vs SAN ANTONIO SPURS, CAVALIERS vs BUCKS, PISTONS vs KINGS, BULLS vs KNICKS & more! 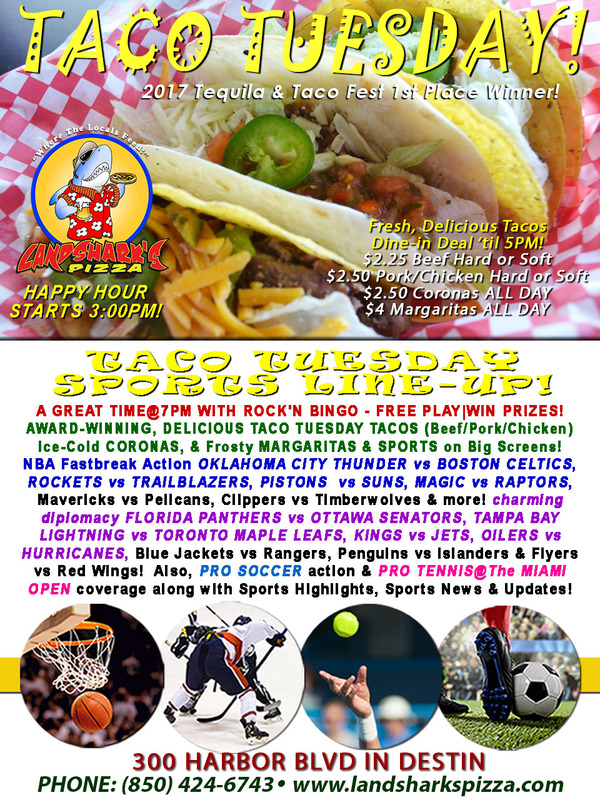 NHL Hockey Action FLORIDA PANTHERS vs MONTREAL CANADIENS, KINGS vs WILD, FLAMES vs COYOTES & SABRES vs PREDATORS on tap! Also, PRO SOCCER & PRO TENNIS from the ATP & WTA MIAMI OPEN coverage, Sports News, Highlights & Analysis! 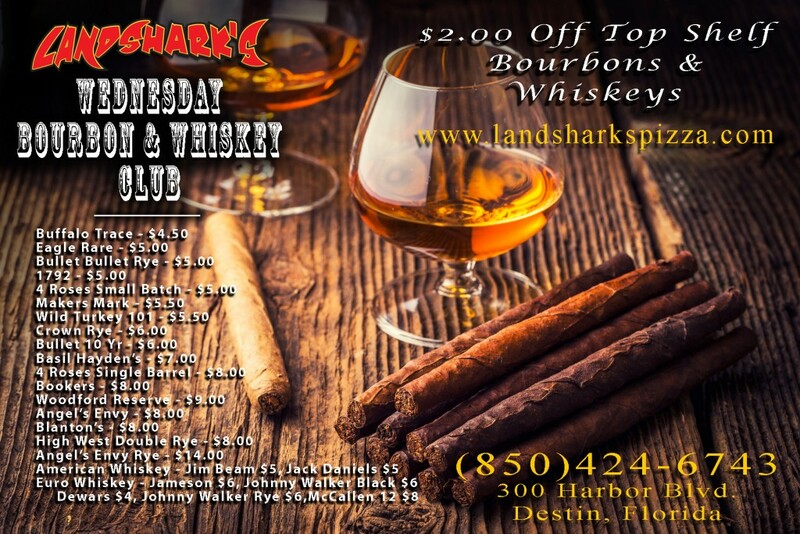 Previous Post: « Catch the NCAA SWEET 16, AUTO CLUB 400 & the Arnold Palmer FINALE at Landshark’s in Destin TODAY!